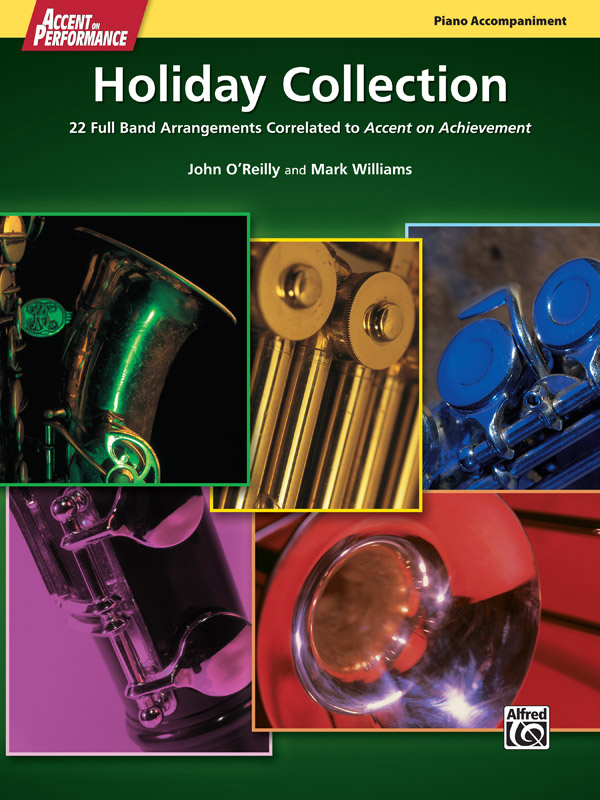 * Over the course of ten years, legendary young-band composers John O'Reilly and Mark Williams composed and arranged over 100 creative works that correlate with specific pages in their highly successful band method, Accent on Achievement. * Alfred Music is now proud to make these arrangements available in a book format that includes 22 full arrangements in each collection. * The Holiday Collection features creative arrangements of many Christmas and Hannukah favorites. * Titles: First Christmas Sleigh Ride, Holiday for Basses, Early English Christmas, Yankee Doodle Christmas, Holiday Magic, The Little Drummer Boy, and 16 others.